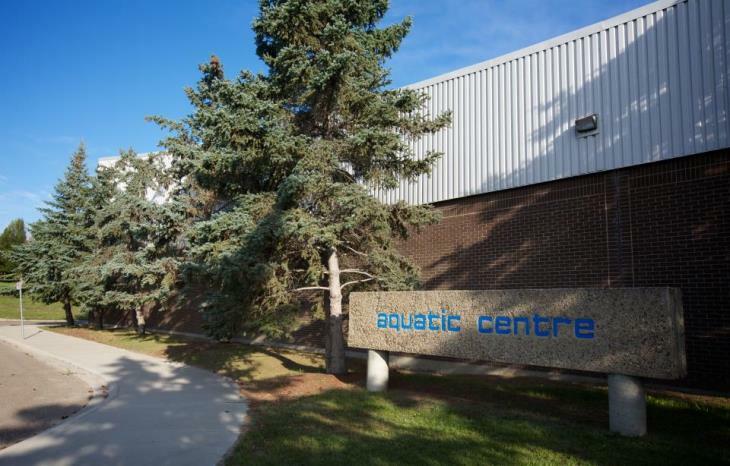 The Saskatoon Goldfins are sending 81 swimmers to compete in the 2019 Chinook Invitational Meet – April 13, 2019 – Swift Current Aquatic Centre - Swift Current, SK. 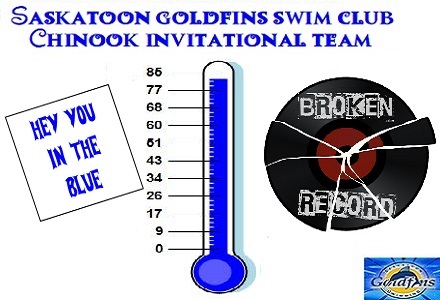 This meet has been designated as a Goldfins travel meet. This meet will allow young swimmers an opportunity to experience a one-day travel meet on the bus with the Goldfins team. Olivia Archer, Jacob Cameron, Sarah Epp, Adam Foster, Macy Howatt, Katelyn Legg, Piper Lejbak, Sarah MacGillivray, Miya McClelland, Ana Pashko, Aubrie Rittinger, Finnley Toews, Hao Tran, Khoi Tran, Mariah Weber, Shannon Yang, Evalyn Yeo, Max Zhao, Zoe Zimonick, Nandita Anand, Lauren Anderson, Jonathan Arndt, Kate Broten, Kai Burke, Justin Cole, Victoria Darling, Landon Dubiel, Charlie Fidler, Oliver Genest, Nicole Godbout, Cherry Gupta, Scott Heinbigner, Nadya Hunchak, Avery Kissick, Nadya Landry, Avery Lutz, Jacey Lutze, Addyson Merasty, Maddie Meredith, Alyssa Park, Everett Rempel, Trinity Schmidt, Joseph Shao, Yucheng Tang, Kian Wu, Sami Benning, Katelyn Carleton, Avery Chapman, Keiran Dyck, Sarah Legg, Isabel Magus, Milayna Mildenberger, Spencer Nave, Kate Reiber, Cienna Wilde, Claire Yeo, Abbey Anger, Lauren Chang, Cassidy Darling, Ada DeLathouwer, Tatum Felton, Abby Fortier, Abby Gebhardt, Ian Genest, Lucas Kelln, Klaire Lamont, Holden Lees, Jordyn Litvenenko, Molly Mulligan, Ava Norman, Lucas Peng, Aaliyah Rodriguez, Rhett Smith, Tori Strydom, Adrianne Tanjusay, Madeline Thoen, Zoe Benning, Daniel Hofer, Anya Sasata, Bryce Tierney, Tony Zhang, and Sara Larocque.